Discussion in 'Rune Ideas and Suggestions' started by Redderrick, Oct 4, 2017. Attack: Electricity This unit makes a Electricity attack at its Range. This is a basic attack. Alahar'Rein Awakening When this champion is not occupying Stormfield, its RNG becomes 1-1 and gains Resistance: Electricity 3 and +2 DEF. 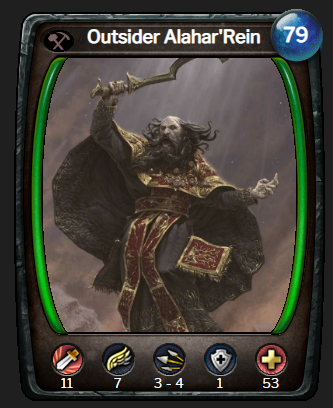 Alahar'Rein Stormfall Spaces within 4 spaces of this champion are Storm Field(5 Electricity damage per square upon entry) for 4 turns. Fearless This unit can not become Frightened. Jolt 1 When this champion successfully damages a champion with a basic attack, that champion is Shocked for 3 turns. Jolt 2 When this champion successfully damages a champion with a basic attack, that champion is Shocked for 4 turns. Jolt 3 When this champion successfully damages a champion with a basic attack, that champion is Shocked for 5 turns. Rebuke 1 Whenever an opposing champion within 7 spaces gains AP through spells and abilities, it takes 1 electricity damage per AP gained. 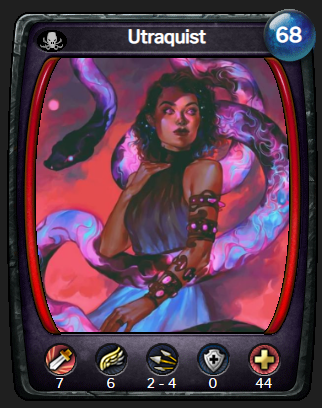 Rebuke 2 Whenever an opposing champion within 7 spaces gains AP through spells and abilities, it takes 2 electricity damage per AP gained. Rebuke 3 Whenever an opposing champion within 7 spaces gains AP through spells and abilities, it takes 3 electricity damage per AP gained. Faithless This unit has no spell presence. Occlude This unit loses 3 HP and 3 random runes in your runedock are concealed. Blood for Nora This unit loses 20 health. The next spell you cast this turn has its nora cost reduced by 20. This effect does not stack. Occulus When this champion is destroyed, it's owner's Shrine heals HP equal to the amount of concealed runes you have in your runedock. Still Life At the beginning of your opponent's turns, if this champion did not move during your last turn, it becomes Stealthed for 5 turns. Escape This unit becomes Stealthed for 3 turns at the end of any turn it was successfully damaged. Sneak This unit becomes stealthed at the end of your turn if you have runes in your rune dock that are still concealed. Target an unoccupied Sand tile, Summon a Sundered Giving Tree Relic in it's place. You are refunded 25 nora if you have a friendly Valdac champion in play. Attack: Psychic This unit makes a Psychic attack at its Range. This is a basic attack. Ethereal Covenant friendly unit(s) within 5 spaces have Phase Cleansing(When this champion becomes Incorporeal, it is Cleansed.). 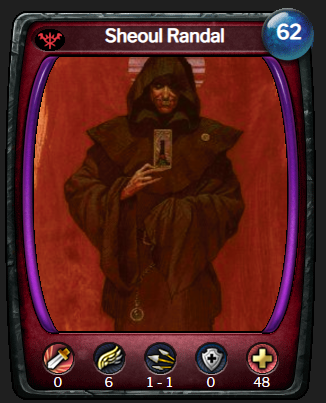 Solidify Target champion within 5 spaces becomes Solid for 3 turns. May target self. Guarded: Spirit The first time each turn this unit is successfully attacked by a basic attack, friendly Spirit(s) within 5 spaces gain 2 AP and +4 DMG for 2 turns. Ethereal Guardian Friendly Ethereal champions that are adjacent to this champion may not be the target of ranged attacks. Possess 1 Target enemy champion within 2 spaces is Possessed by you for 1 turns. This unit is Paralyzed while this effect is active. Possess 2 Target enemy champion within 2 spaces is Possessed by you for 3 turns. This unit is Paralyzed while this effect is active. Possess 3 Target enemy champion within 2 spaces is Possessed by you for 5 turns. This unit is Paralyzed while this effect is active. 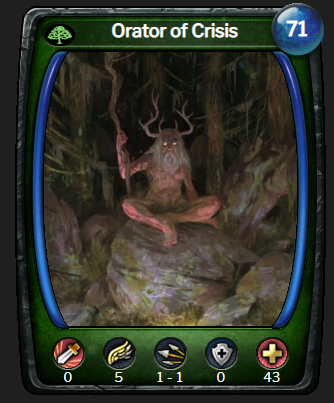 Crisis Response friendly champion(s) receive a Retreat(This champion can disengage for free and move 1/2/3 spaces.) boost when this unit injured. At 60% of MAX HP friendly champion(s) gain Retreat 1, at 40% of MAXHP friendly champion(s) gain Retreat 2 and at 20% of MAXHP friendly champion(s) gain Retreat 3. Crisis Oration Summon a Pawn of Crisis champion in an un-occupied adjacent tile. This unit has -25% HP and SPD(rounded up) for each Pawn of Crisis champion(s) in play. Spell Blockade The next spell cast by your enemy backfires. This units health is reduced to 1 when Spell Blockade triggers. This effect is hidden until triggered. If the unit that activated this effect is removed from play before it is triggered then the effect will not trigger. Nature's Connections When a friendly champion within 5 spaces makes a successful basic attack, this unit heals for 2 HP. If the attacking champion is a Plant, Ranger or Shaman, it also heals for 2 HP. Forage This unit gains 3 AP when it captures a nora globe. 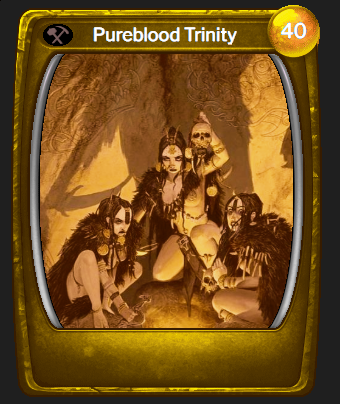 Immunize Target unit within 5 spaces gains Immunity: Disease for 5 turns. Detection 1 Enemy units within 3 spaces lose Stealthed and enemy traps within 3 spaces are revealed. Detection 2 Enemy units within 3 spaces lose Stealthed and enemy traps within 4 spaces are revealed. Detection 3 Enemy units within 3 spaces lose Stealthed and enemy traps within 5 spaces are revealed. Pawn The first time this champion would be damaged each round, the nearest other friendly champion is affected instead. Unequippable This champion may not be equipped. Attack: Physical This unit makes a Physical attack at its range. This is a basic attack. Martyrdom When a real friendly champion is destroyed, this unit is healed for 8 HP. If this unit shares a race with the destroyed unit, also gain +1 DMG. Sacrifice Target summoned champion you own. 3 friendly real champions with Race: Barbarian within 3 spaces of the Target become Consumed By Fire (This champion is Shielded, Immobile and Pacified. At the beginning of your turn, this champion takes 10 Fire Damage.). At the start of your next turn if at least 3 champions were affected by this spell, champion(s) affected permanently gain the ability True Nature. 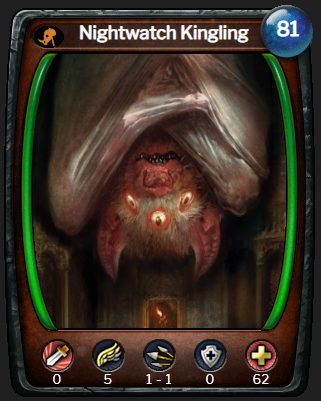 This is a Ritual Spell Card and has a deck limit of 1. True Nature When this champion makes a basic attack, the other champion is Dispelled and becomes Confused for the attack. Damage Shields and abilities that generate a condition for its effect (such as Confuse Attacker) will still trigger. True Nature When this champion makes a successful basic attack against an enemy unit, the Target gains Trail: Desecrated Ground(At beginning of your turns and upon casting *Non-Undead Champions in this area lose 3 MAXHP*)For 2 turns. If the Target is Undead it gains Trail: Hallowed Ground(At beginning of your turns and upon casting Priests, Shamans, and Paladins are cleansed and heal+5 HP, and terrain modifications are removed from this space. *Undead, Mutant and Demon champion(s) occupying Hallowed Ground permanently loose 2 MAXHP At beginning of your turns and upon casting*)instead for 2 turns. Friendly Priests, Shamans, and Paladins are cleansed and healed for 5 HP, and terrain modifications are removed from this space. 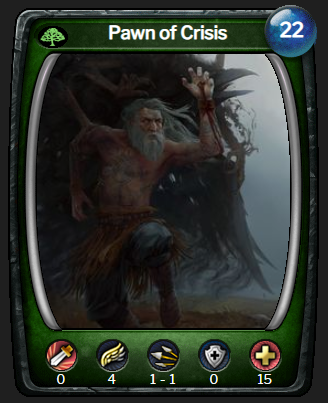 At beginning of your turns and upon casting Priests, Shamans, and Paladins are cleansed and healed for 5 HP, and terrain modifications are removed from this space. Undead, Mutant and Demon champion(s) occupying Hallowed Ground permanently lose 2 MAXHP At beginning of your turns and upon casting). At beginning of your turns and upon casting Non-Undead Champions in this area lose 6 HP. Seism When this champion is deployed, the closest enemy relic takes 20 Physical damage. 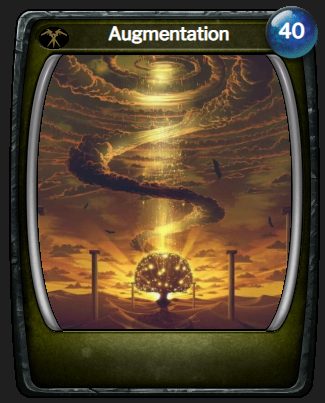 Seism When this unit is deployed, modify the terrain that the closest enemy relic is occupying to Unstable Ground for 20 turns. This effect stacks, increasing the modification AoE to other adjacent terrain. Stunning The first time this champion is successfully attacked each turn, the attacking champion becomes Stunned for 3 turns. Crushing Structure Whenever this unit loses Flying, it modifies adjacent terrain to Unstable Ground for 5 turns. If the terrain is already Unstable Ground, it becomes Chasm instead. When this effect occurs, this champion is Immobile. Veiled Flight This unit gains Flying when Stealthed. Shadowspawn This unit comes into play Stealthed. Vulnerability: Sonic When this unit takes Sonic damage, that damage is increased by 25% (after DEF). Vulnerability: Physical When this unit takes Physical damage, that damage is increased by 25% (after DEF). Vulnerability: Magical When this unit takes Magical damage, that damage is increased by 25% (after DEF). Attack: Bubble This unit makes a Loss of Life attack at its Range against target champion. If Successful, Target gains an additional buffer equal to the life lost. Bubble Beam All champions without a Buffer occupying spaces 1 to 6 spaces in a targeted straight line away from this champion gain a Buffer of 5 HP. 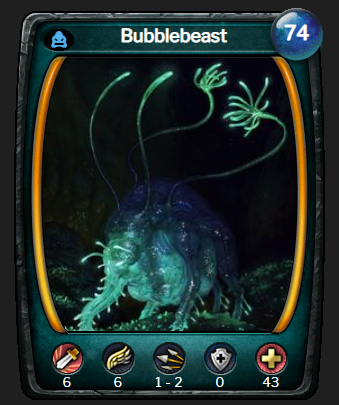 Bubble Bliss When this unit is deployed and at the start of each turn, it Converts 10% MAXHP into it's Buffer. Amphibious This champion ignores restrictions and penalties imposed by Water. Domain: Bubble This unit gains +2 DMG, +1 DEF, and Mobility while Buffered. Death Nova: Bubbles 1 When this unit is destroyed, 3 Bubbles worth +3 additional Buffer are summoned randomly in 3 spaces. Death Nova: Bubbles 2 When this unit is destroyed, 3 Bubbles worth +6 additional Buffer are summoned randomly in 3 spaces. Death Nova: Bubbles 3 When this unit is destroyed, 3 Bubbles worth +9 additional Buffer are summoned randomly in 3 spaces.